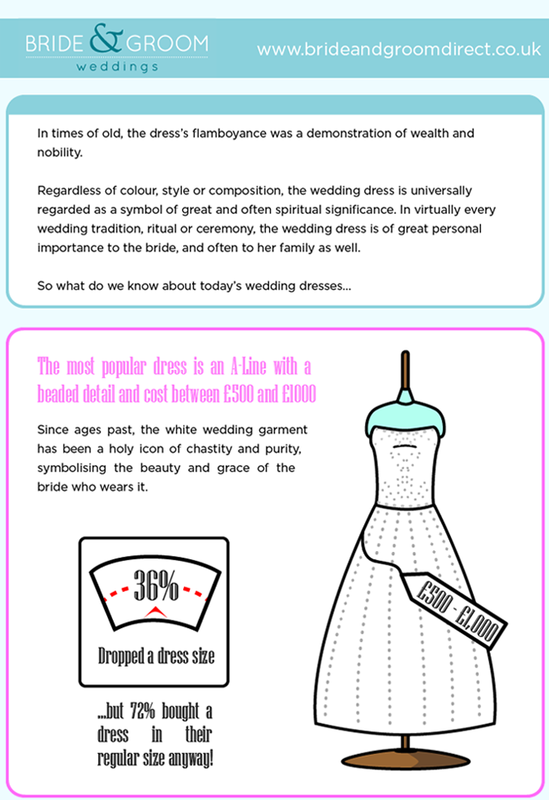 Wedding Infographic - Wedding Dress Trends - The Real Stats! 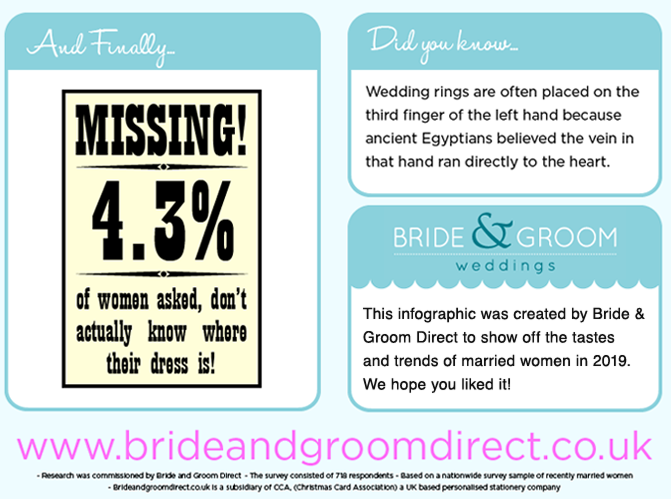 At Bride & Groom Direct, we're always keeping our fingers on the pulse to find out the current wedding trends! 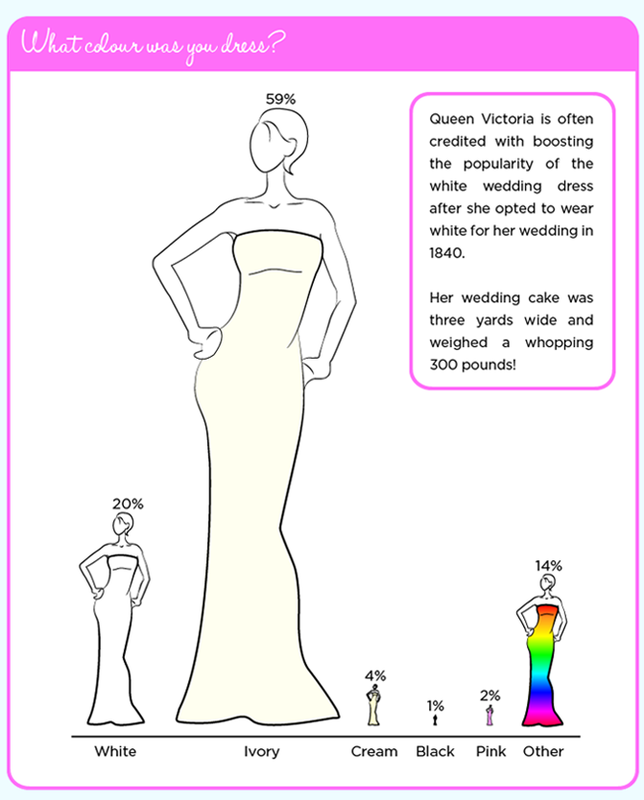 In December 2018 we conducted an in depth survey of Wedding Dresses. 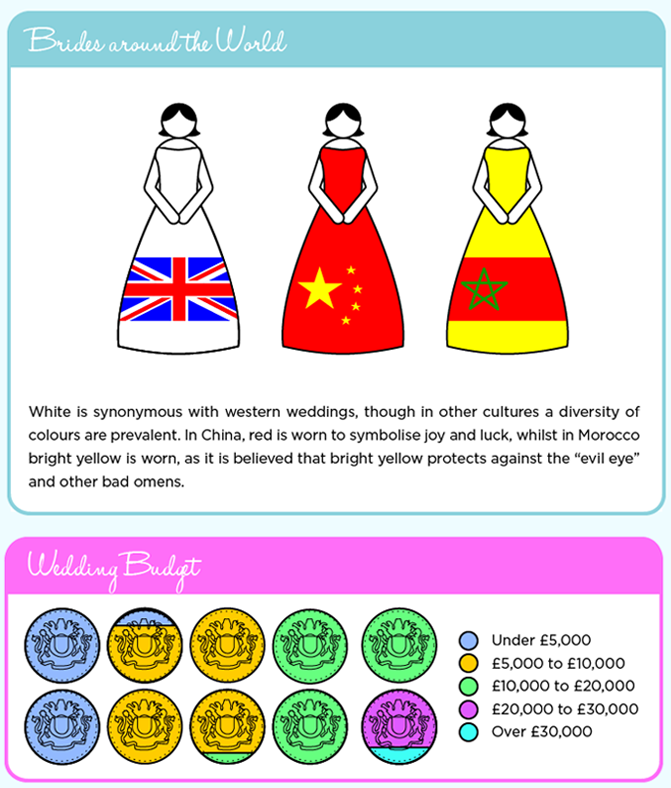 We asked everything from colour and price to dress size - and here's what we found. 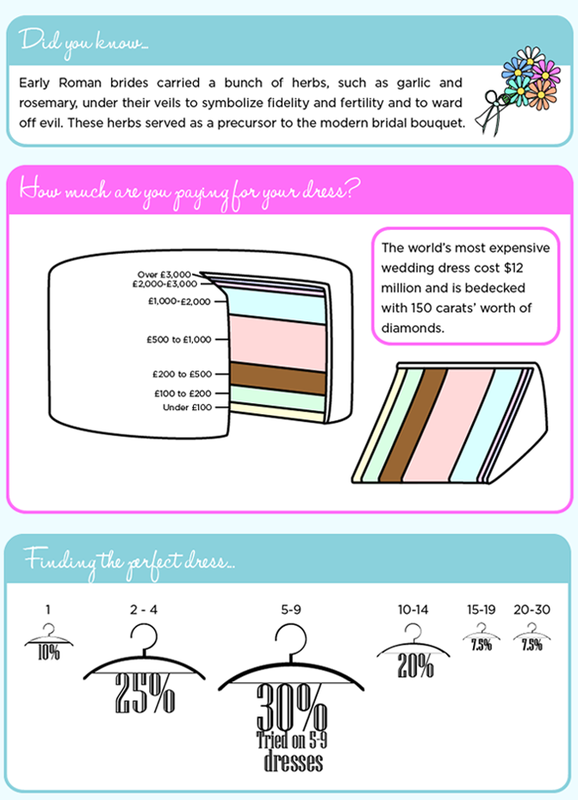 If you would like to download the full wedding dress infographic, please click this link and save it to your computer. If sharing with your friends, don't forget to say it came from Bride and Groom!